Cancer screening is aimed primarily at reducing deaths from the specific cancer. Thyroid-specific cancer mortality may be the most ambitious endpoint for obtaining estimates of screening effect. Numerous observations have accumulated over the years, indicating that thyroid cancer mortality endpoint has been difficult to study and is confounded by population heterogeneity, provision of randomization, and requirement of large cohorts with sufficiently long follow-up due to the excellent prognosis of the cancer. Accordingly, it may be important to reconsider how to best measure thyroid cancer screening efficacy. Recommendations against thyroid cancer screening should be based upon trials designed to evaluate its effectiveness not only in significant reduction in cancer mortality, but also of other distinct endpoints. It is desirable to evaluate derivative endpoints that can reliably predict reductions in mortality. The term “derivative” means a variable that is related to the true endpoint and is likely to be observable before the primary endpoint. Derivative endpoints may include thyroid cancer incidence, the proportion of early-stage tumors detected, more treatable stage, the identification of small tumors (to maintain in observation), decrease in the number of people who develop metastatic disease, the increased chance of lesser extent surgery, and the application of minimally invasive approaches, as well as no need for lifelong thyroid replacement therapy, a consistent follow-up, low-dose or no RAI administration and risk factor assessments where case findings should be continuous. The Korean guidelines for thyroid cancer national-level screening were published by a relevant group of multidisciplinary thyroid experts. It was concluded that the evidence is insufficient to balance the benefits and harms of thyroid cancer screening. 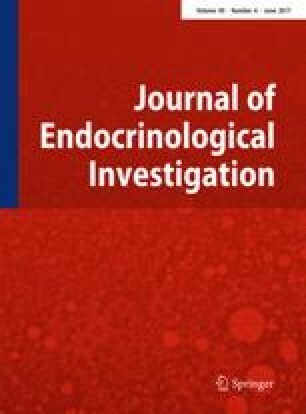 However, the paper seems to raise the necessary investments in future research and demand a complete analysis for derivative endpoints, and offer screening participants with complete information necessary to make decisions that will provide them with the most value when a small thyroid cancer is screen-identified.